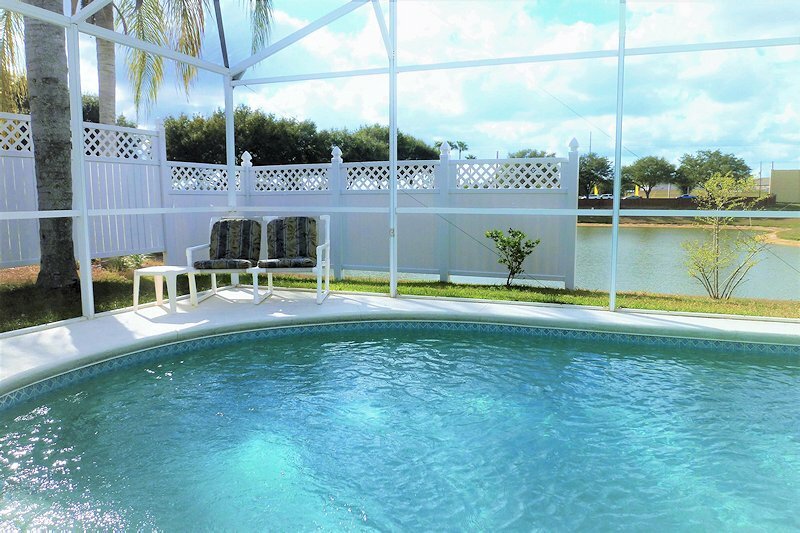 A small community mixing both residential and vacation properties, The Palms borders Lake Davenport and provides a relaxing location from the nearby Walt Disney World Resort. Community facilities include tennis and basketball courts, a communal pool and children's play area. Golfers have some excellent local courses, which include the almost-adjacent Highland's Reserve course to Championsgate and Mystic Dunes. Offering an equally relaxed setting the community has a number of picnic benches with barbecues alongside the lake and for the keen fishermen, the lake is stocked and can be fished with a local license. Situated centrally between a number of supermarkets there should never be a problem picking up those everyday essentials. The local Publix supermarkets is a mile south on US27 (adjacent to the Highlands Reserve community), with another just under 3 miles on US192. Both offer a variety of other adjoining shops and eateries, including: Applebees, Quiznos, an Indian take-away, Dominos pizzeria and a wine & bistro parlour. The nearest Walmart is north of the junction with US192. This also has a number of local shops and restaurants nearby. Heading south on US27 towards Interstate 4, there is the Posner Park shopping centre offering major stores including JC Penney, Target, Ross, Dress for Less and many more. Again, there is a further selection of restaurants and English pub nearby. The Palms at Lake Davenport community is located on highway US27, around 2 miles south of the intersection with highway US192 (the main road through to Kissimmee). The most straightforward driving route to Walt Disney World is either US192 or as an alternative, the less-busy western route SR429. For Universal Studios, SeaWorld and the International Drive area, head for Interstate 4 then north towards Orlando. Orlando International airport is accessible from Interstate 4 and the Beachline Expressway SR528. This is also the route to Kennedy Space Center and Cocoa Beach.